Last updated 12 May 2014 . By Rebecca O'Malley. 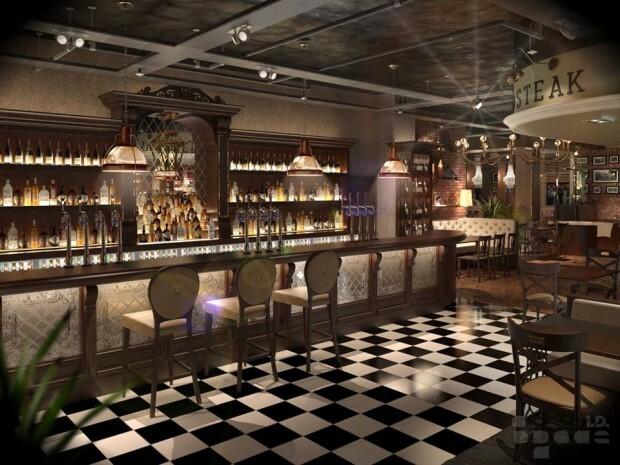 Soon to launch on Glasgow's Princes Square, NY American Grill delivers an extensive and varied US-inspired food and drink offering, after months of research into American chow. Despite the whirlwind of American restaurants and grills to have sprung up across Glasgow in recent months, these guys claim to have nailed the whole thing: they've got a Josper Grill in tow to ensure the perfectly cooked steak, and boast an impeccable attention to detail. Plus, they're all set to launch a cheaper and far lighter lunchtime menu, in the hope of attracting daytime shoppers with the promise of two courses for £11.95. Jumping on the stateside bandwagon that has already swept our fair city, NY American Grill takes the whole shebang to a whole other level: attention to detail is key, and care has been taken to ensure that every dish has been suitably researched, cooked and presented. Hence then, the introduction of the Josper Grill, a crafty little machine that (without any gas or electricity, might be add) chars the outside of your meat to leave the outside both tender and juicy. Expect an eclectic menu of flavours from across the US, paired with a craft beer offering, thirty bourbons and a whole host of rye whiskies.